Prologis, Inc., the global leader in logistics real estate, has been named the strongest European real estate developer brand for 2018. 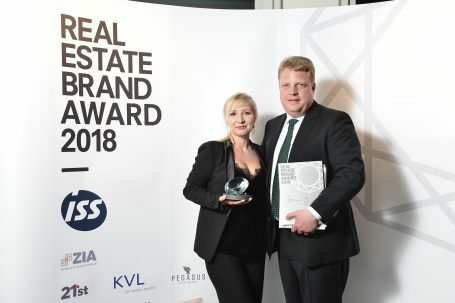 Prologis received the award in the “Logistics” category at this year’s Real Estate Brand Awards by the German-based European Real Estate Brand Institute (REB Institute), a leading platform for the benchmarking and evaluation of corporate brands. This empirical study defines a top 100 brand index of real estate developers in Europe. The research analyses improvements across key performance indicators and measures the positioning of the most important real estate companies in Europe. This annual study was carried out by surveying 94,868 industry experts across 47 countries in Europe and uses a brand value model that combines qualitative and quantitative methods to present results that are clear to understand. The Prologis brand aspects which scored highest were its regional competence, innovation power and conversion strength.